Anybody that follows nutrition news and the research into longevity will be more than familiar with supplements claiming to be the latest big thing. Unfortunately, many of these ‘big things’ turn out to be little more than a dud. 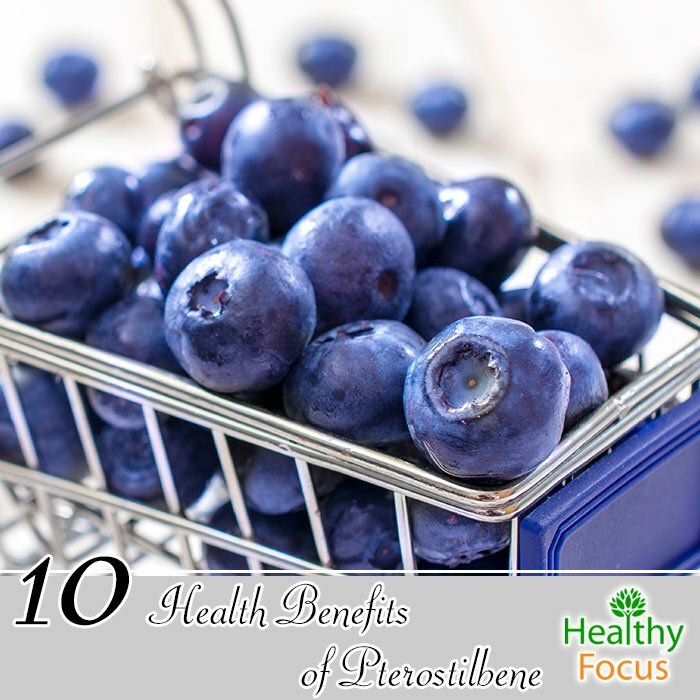 The latest big thing according to many researchers and media outlets is pterostilbene. There are plenty of claims that it is a better and much stronger alternative to resveratrol. But given that resveratrol has fallen quite a long way off its pedestal already, should you buy into the news regarding this latest alternative or should you keep your wallet closed for the time being? Pterostilbene is an antioxidant which activates sirtuin in the body. It is found naturally in a variety of plant based foods including blueberries, vines, grapes, peanuts and almonds. It is chemically very similar to resveratrol and so far has demonstrated many similar health benefits. In fact, research to date appears to show that pterostilbene is actually more effective than resveratrol. As is the case with resveratrol, the food which contain pterostilbene does so in very tiny amounts. Blueberries for example are one of the best sources of pterostilbene but contain only around 100 ng to 500 ng for each gram of the fruit. Just to put those figures into some form of perspective, a blueberry package weighing 340 grams would only give you a pterostilbene dose between 0.03 and 0.18 mg. The studies that have been done so far have certainly proven positive. They have showed that pterostilbene has a variety of benefits including heart health, cognitive health and diabetes but have used doses of hundreds or thousands of times larger than the amount you could get from a natural source. Because of this, dietary sources of pterostilbene are regarded as inadequate and research has focused on supplementary forms of pterostilbene instead. Around a decade ago, resveratrol gained a lot of attention around the world. It was acclaimed for its antioxidant benefits but things have since gone a bit quiet. Pterostilbene is very similar in the way it acts on the body and both compounds share very similar chemical features. While they are structurally very similar, pterostilbene possesses 2 methoxy groups which increase bioavailability when compared with resveratrol. Despite the acclaim with which it was initially received, resveratrol is not absorbed well, has a very short half life, is easily destroyed by light and oxidizes very quickly when it is exposed to the air. Pterostilbene is less prone to oxidation from the air. Medical research into the benefits of pterostilbene is still fairly new. The vast majority of studies have taken place within the past ten years. Because of this, it is worth noting that the research is still in a preliminary stage but several completed clinical trials have already been published and provided some compelling evidence. Pterostilbene may have an important role to play when it comes to blood pressure reduction especially for people suffering from hypertension. A very recent double blind study published in the year 2014 involved 80 patients of both sexes aged between 45 and 54. The patients were divided into groups one of which was treated with a placebo. Good news for those of you or us that would like to shed a couple of extra pounds, researchers have noted that taking pterostilbene may have that effect. The same study mentioned above also noted that the participants who took the pterostilbene supplements lost a moderate amount of weight during the study. While the early signs appear to suggest that pterostilbene can affect weight, there is still the need for specific studies into its weight loss effects before it can be recommended for the purpose. While pterostilbene has received a lot of marketing hype for its ability to treat arthritis, the jury is still out. To date, only a single study published in 2010 offers supporting evidence but the results were definitely promising. Atherosclerosis is a common disease cause as we age characterized by the build up of plaque in the arteries. It tends to worsen as we age and significantly increases the risk of heart attack or stroke. One of the largest manufacturers of synthesized pterostilbene is ChromaDex who have several patents related to the nutrient. One of these patents involves combining pterostilbene with caffeine. One study published in 2016 set out to analyze the muscular and energy gains that could be made with pterostilbene and caffeine combined. The study recruited 21 trained athletes and gave them pterostilbene supplements combined with caffeine some 45 minutes before they trained. The specific ORAC value for pterostilbene powder has not been measured up to this point but there has been a growing body of research into its antioxidant potential. Up to now, animal studies, in vitro studies and human in vivo studies have all taken place. While pterostilbene demonstrates all the normal, generic antioxidant abilities, it can also boast some more interesting properties as we can see below. The antioxidant capacity of pterostilbene may also help protect against damage to organs including the liver. Over 100 published studies into the effects of pterostilbene mention the word cancer and early signs are very promising. It offers antioxidant benefits to the body’s healthy cells but there is growing evidence that pterostilbene can also reduce the antioxidant defense of the body’s unhealthy cells or cancerous cells. The vast majority of research done into pterostilbene has not revealed any major side effects even at very high doses. In human tests so far, side effects were largely comparable to the placebo group. In one study, the obese participants who took pterostilbene did experience a slight increase in LDL cholesterol levels.